Looking for an all-natural way to boost your immune system and fight off those seasonal sniffles? 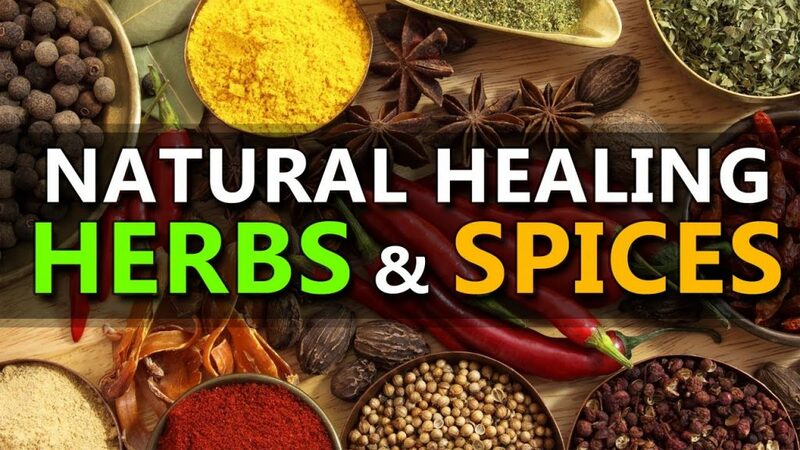 Well here you have the most powerful herbs and spices , which can be used to help your body combat viruses, inflammation, and infections. Cloves – Among the top three spices in antioxidant concentration. Contains eugenol, carophyllin, gallic acid, eugenin. Inhibits oxidation of LDL cholesterol, an early step in atherosclerosis. Cinnamon – An antioxidant powerhouse; compounds protect against inflammation, heart disease, Alzheimer’s. Polyphenols also increase insulin activity, aiding diabetes control. Cinnamon scent boosts attention. Cinnamon is beneficial in strengthening bones and provides protection against fungal and bacterial infections. Allspice – Contains more than a dozen antioxidants, including eugenol, quercetin, ellagic and gallic acids. Ellagic acid has anticancer effects, decreases proliferation of pancreatic cancer cells. Allspice boosts immune system and dental health, aids in maintaining healthy heart, aids in digestion, helps blood circulation and gives relief from arthritis , gout, muscle aches and hemorrhoids. Attention! Avoid use if suffering from gastric ulcers or ulcerative colitis. Saffron – Loaded with carotenoids, which possess anticancer activity and aid immune function. Also protects blood fats against oxidation, a step in the development of cardiovascular disease. Saffron provides relief from constipation, bloating and gastric ulcers, boosts nervous system and gives relief from pain , anxiety and stress. Avoid excess intake off saffron. Fennel – Contains flavonoids and tannins. Stimulates bile acid production in the liver, giving it a major role in fat digestion and absorption. Also contains anethole, shown to reduce inflammation and retard cancer. Fennel eliminates bad breath, eases and regulates menstruation, inhibits growth of cancerous tumors,boosts immunity and treats anemia, increases brain function and cognitive abilities, maintains cholesterol levels and reduces high blood pressure, prevents macular degeneration and premature aging and protects against harmful effect of radiation during cancer treatment. Fennel is useful in treating respiratory disorders and renal colic. Oregano – Another antioxidant powerhouse loaded with phenols. Rosmarinic acid has demonstrated antimicrobial activity against food-borne pathogens, and can be used topically as an herbal antiseptic. Oregano reudces risk of atherosclerosis, heart attacks and strokes, helps to energise and rejuvenate body, it’s beneficial in detoxifying body, aids in digestion, boosts ummune system, aids in speeding up metabolism and helps to protect against bacteria that can affect skin and gut. Cumin – Seeds have significant antiglycemic effect and help reverse metabolic abnormalities in diabetes. Also stimulate bile acid production and its secretion into bile. Cumin is a rich source of iron which helps in increasing hemoglobin levels, improving blood flow and also promoting a healthy menstrual cycle. Also increases cognitive performance, increases lactation, eliminates phlegm and mucus, heals piles by acting as a natural laxative, boosts immunity and fights viral infections, treats renal coli, weak memory and insect bites, avoids symptoms of anemia like fatigue and digestive issues , prevents diabetes by reducing the chances of hypoglycemia, maintains healthy skin and prevents premature aging, helps relieve stress and anxiety that cause insomnia , prevents colon cancer and removes toxins from body. Cumin Side Effects : blood clotting, heartburn and liver damage ,infertility and miscarriage. Garlic – Pungent sulfur compounds promote heart health via beneficial effects on lipid metabolism and reduction of cholesterol levels. May also reduce blood pressure and retard cancer growth. Garlic provides relief from acne and asthma, beneficial in digestion, helps cure hypertension, useful for curing ear aches, reduces hugh cholesterol levels, aids in treating eye infections, helps treat cough and cold and gives relief from intestinal ailments. Mustard – Has strong antimicrobial effects. Loaded with glucosinolate phytonutrients and their component isothiocyanates, which inhibit growth of cancer cells, especially in the gastrointestinal tract. Mustard gives relief from respiratory disorders, reduces risk of cancer and cardiovascular diseases, aids in managing diabetes and cholesterol levels, promotes clearer complexion and cures acne. Mustard seeds help in curing pains and spasm , helps to heal symptoms of contact dermatitis and is effective in treating psoriasis and chronic bronchitis. Rosemary – Carnosic acid may shield brain from free-radical damage, lowering risk of stroke and neurodegenerative diseases. May also improve memory. Additional antioxidants detoxify carcinogens. Rosemary imporves blood circulation in body,gives relief from migraines, boosts immune system and memory, gives naturally fresh and clean breath, is beneficial in improving mood by reducing stress and anxiety,helps in regulating bowel movements and gastrointestinal system. Mint – Stimulates bile acid production in liver and its secretion into bile. Antioxidants in mint include vitamin C and the phytonutrient perillyl alcohol, which has been shown to prevent cancer growth. Turmeric – A component of curry, its active ingredient circumin has neuroprotective and anti-aging effects on the brain, anti-inflammatory effects, and slows spread of breast cancer. May also prevent strokes. Turmeric helps to prevent cystic fibrosis and cancer, boosts cognitive abilities, helps to detoxify body, aids in reducing stress and depression, is useful for treating gastrointenstinal disorders, beneficial in maintaining healthy heart, is rich in anti-inflammatory proprierties and relieves menstrual pain and gives relief from fatigue , nausea, pelvic pain and cramp. Excess usage of turmeric can cause nausea, dizziness or diarrhea, heart irregularities. Basil – Boasts wide range of polyphenols, on a par with berries. Green basil is rich in flavonoids, purple varieties in anthocyanins. Also contains rosmarinic acid. Decreases platelet aggregation, preventing blood clots. Ginger – The antioxidant zingerone appears to have specific brain-protective properties. The phenolic gingerol subdues inflammation; studies show it reduces the viability of gastric cancer cells. Ginger regulates sugar levels, enhances sexual activity, facilitates digestion and cures diarrhea, provides relief from menstrual cramps, boosts bone health and relieve joint pain, cures nausea and removes excess gas from body. Red Pepper – Active ingredient capsaicin is used topically to relieve pain of peripheral neuropathy. Also stimulates bile acid and may aid weight loss by boosting metabolism. The hotter the pepper, the more antioxidants. Black Pepper – Contains free-radical scavenger pinene, which counteracts oxidative stress from consuming high-fat diet. Piperine increases absorption of selenium, vitamin B, beta-carotene, and other nutrients. Black pepper prevents earaches and gangrene, helps fight infection and insect bites, aids in weight loss and cures vitiligo, gives relief from sinusitis , asthma and nasal congestion, reduces risk of cancer, cardiovascular and liver ailments , reduces memory impairment and cognitive malfunction. Beneficial for Alzheimer’s and dementia patients. Avoid use after abdominal surgery. May cause sneezing.